Welcome to the official SLJ Institute App for mobile devices. 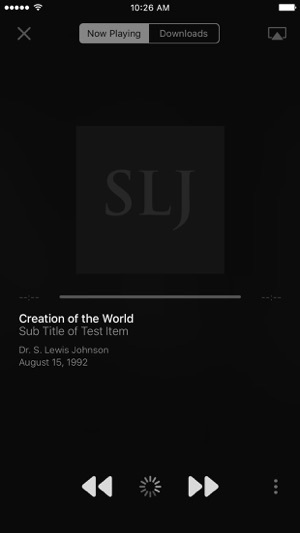 The SLJ Institue App allows mobile users to have easy access to the ministry of Dr. S Lewis Johnson as stored in the content of sljinstitute.net. 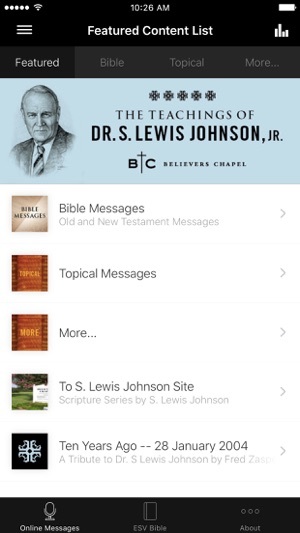 This app allows the user to listen to the messages of Dr. S Lewis Johnson as spoken primarily at Believers Chapel in Dallas, TX. You can stream the messages or download them for later playback. Additionally, you can also view the transcripts of the messages. The app also allows for sharing with via Twitter, Facebook or email. This is an on-going project and content will be continually added until all the messages are available. All messages are copyrighted by Believers Chapel in Dallas, TX. The SLJ Institute App was developed with "The Church App" platform. SLJ: The theologian and expositor. This is a wonderful resource for Christians everywhere! I have benefitted more from the ministry of S. Lewis Johnson than probably any other theologian. 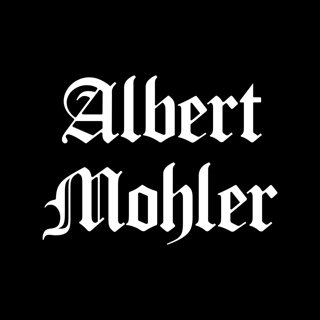 His expositions are clear; his theology is precise, and his love for The Lord is evident. What a blessing this is to have a resource! Looking forward to more from this app in the future! 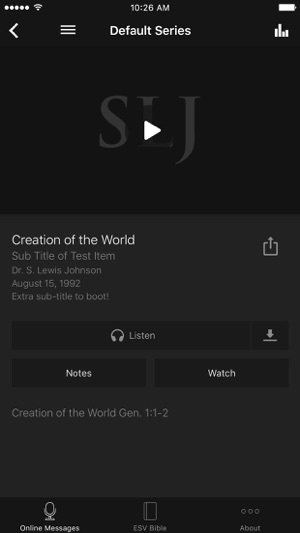 The invaluable teachings of the late, esteemed Dr. S. Lewis Johnson are finally becoming available in this easy-to-access app. The audio (in many cases, decades old) comes through clean and clear. The sermons are neatly categorized. 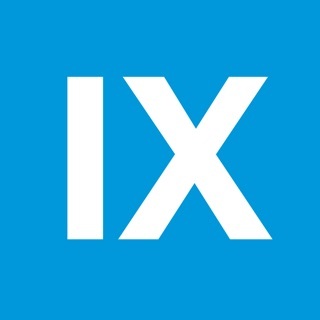 Best of all, these lessons are now at the fingertips of a wide-spread audience. 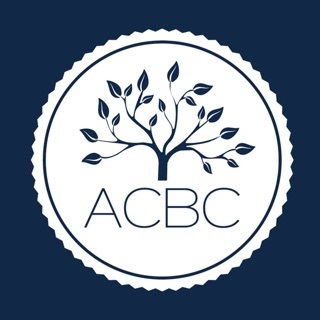 This app contains a wealth of knowledge by a truly gifted teacher of God's Word. I am continually blessed by the insightful and careful exposition of S Lewis Johnson. May we thank the Lord for access to these teachings.